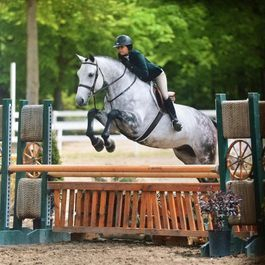 Gatsby: Imported 2008, big bodied 16.3 hand, Hanoverian gelding by Salito. 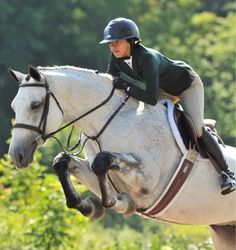 Has many miles in the Adult Hunters, Adult Equitation, and 3'3" A/O rings as well as some 3'6" miles. Incredibly brave and will never say no. Will always help a rider out. Auto changes. Very adjustable and has a canter that's very easy to find the jumps off of. Priced in the upper 5 figures. 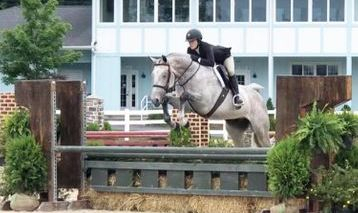 Lorenzo Du Rouet: 2009, 15.2 1/2 hand (permanent USEF measurement card) warmblood gelding. Imported in 2018 and is the perfect horse for a kid coming off a pony or anyone needing a confidence boost. Has the scope and talent to step a kid into the Junior Hunters and the brain to pack around an adult beginner. No spook, no prep, auto changes, will never stop, and no vices. Simple, easy, honest, and straightforward. A trainer's dream!